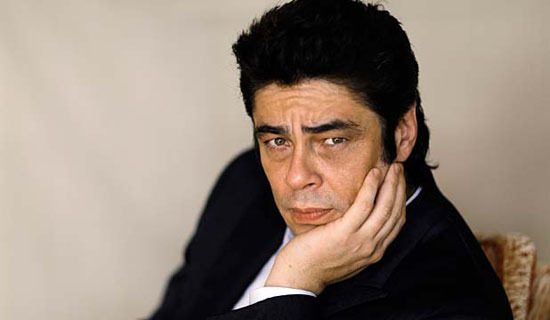 Benicio Del Toro Set To Play The Main Villain in J.J. Abrams' 'STAR TREK 2'? J.J. Abrams has offered Benicio Del Toro the lead villain role for his highly anticipated Star Trek sequel. Variety report that Del Toro has already sat down with the director, however the site states that in an effort to keep the role a secret, the actor is in the dark about the particulars of the part. Interesting. A formal offer has not been made to Del Toro from Paramount. Production on Star Trek 2 is slated to begin early 2012. The sequel was scripted by Alex Kurtzman, Roberto Orci & Damon Lindelof. Chris Pine, Zach Quinto, Zoe Saldana, Anton Yelchin, Simon Pegg, Karl Urban & John Cho all star. I'm reading: Benicio Del Toro Set To Play The Main Villain in J.J. Abrams' 'STAR TREK 2'?Tweet this!